Fantasy Flight Games actually created a new ship for the Star Wars universe. Before something that size was needed for the X-Wing Miniatures game, nothing that already existed really fit. So they worked with the people over at Lucas Arts and the Imperial Raider Corvette was created. That's nothing particularly new, as that ship has been available for X-Wing for several months now. 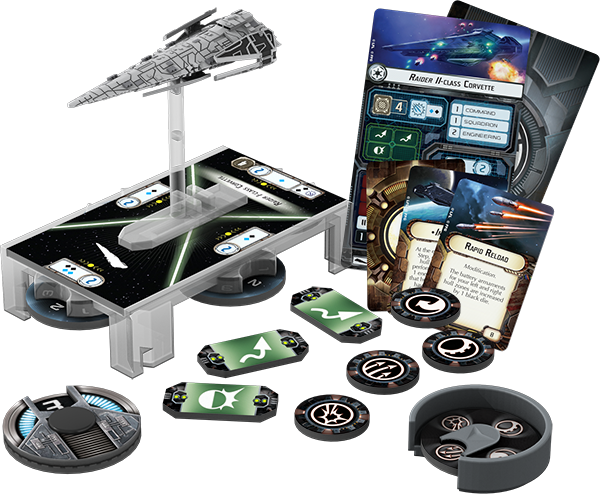 However, since the ship now exists, might as well put it into FFG's other Star Wars games. 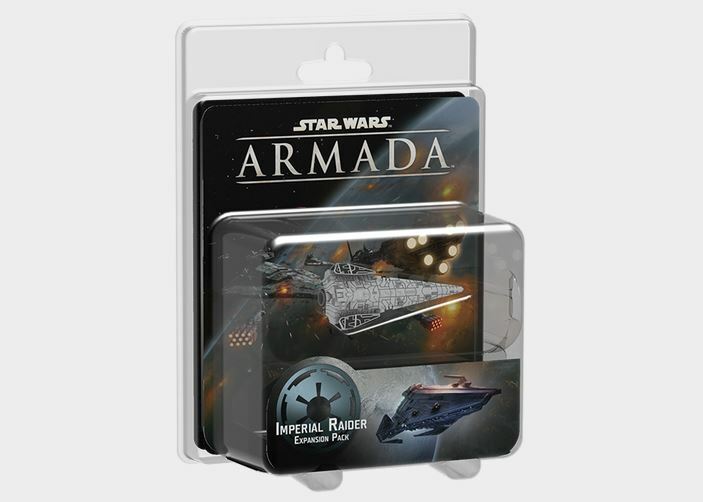 As such, we've got a preview of the Imperial Raider pack for Star Wars Armada. So, the Imperial Raider goes from the biggest ship on the board to one of the smallest. I wonder if it'll suddenly get some sort of a complex because of that. Anyway, the Imperial Raider is an Imperial analog to the Corellian Corvettes and Nebulon-B Frigates that the Rebels have been using for quite some time now. Designed for close-in support of the various fighter squadrons. In Aramada it certainly fits that role, having a low Command value (which could be seen as a good thing in this case, since it lets the Raiders react quickly to enemy movements) and good anti-fighter capabilities. Just don't expect it to take nearly as much damage as an ISD or even a VSD.